Congratulations to Steven Adam who was awarded the rank of 5th Dan at the recent SKF Kumite Championships. 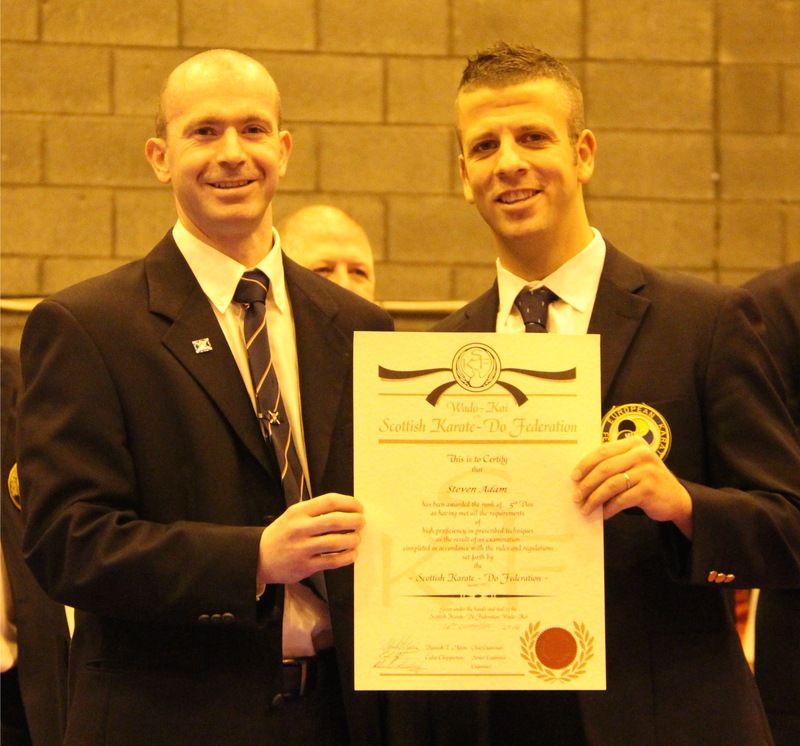 Stevn is pictured being presented the award with Grant Bonar, Vice-Charman of the Scottish Karate Federation. This entry was posted on Tuesday, March 3rd, 2015 at 2:57 pm and is filed under SKF. You can follow any responses to this entry through the RSS 2.0 feed. Responses are currently closed, but you can trackback from your own site.